R1) 20 Acres of 9 years old mango garden (1400 trees) with two bores, servant quarters & barbed wire fencing is available for sale @ Rs. 9.5 lakhs per acre. Site is 20 Kms from ORR (Appa Junction) towards Chevella & 30 Kms from Mehdipatnam. R2) 14 Acres of mango garden @ 6 lakhs per acre at Yacharam mandal of R R District. R3) Lands within 1 KM from Mucherla IT Park boundary, 48 KMS from Hyderabad - 10 acres @ Rs. 7 Lakhs per acre. R5) 5 Acres of land for sale @ Rs 3 Lakhs per acre within 5/6 kms from Yacharam of Rangareddy district. R6) 80 acres of commercial land @ Rs.50 Lakhs per acre near Outer Ring Road towards Srisailam Highway. R7) 98 acres of commercial land @ Rs.1.25 Crores per acre, close to ORR towards Srisailam Highwat at Maheswaram/Mankal. R8) Commercial lands at Mankal village, Maheswaram Mandal & RR District - 118 acres @ Rs.75 Lakhs per acre. R9) Commercial Lands at Maheswaram mandal & RR District, Srisailam Highway facing - 128 acres @ Rs.1.2 Crores per acre. R10) 400 Acres of land for sale @ Rs 3.5 Lakhs per acre near Pulimaamidi village, Kandukur & Maheswaram mandals of Rangareddy District. R11) Absolute Srisailam Highway facing 40 acres commercial land @ Rs. 75 Lakhs per acre, under Kottur Revenue, Kandukur Mandal, RR District. R12) Industrial lands near Sadasivapet - Three lands near Sadasivapet towards Vikarabad & Thandur, Medak district - 220 / 62 / 80 acres @ Rs. 6.5/8/7 lakhs - per acre. R13) 13 Acres of land in Puppalaguda (out of 111 G.O.) is available for sale @ Rs. 4.50 Crore per acre. R14) Lands within 2 KMS from Mucherla IT Park, 45 KMS from Hyderabad - 8 acres @ Rs. 6 Lakhs per acre. R15) 9 Acres of land @ Rs 2 Lakhs per acre within 8 kms from mall of RR district towards Sagar Highway (Anj). NZ1) 100 acres land @ Rs. 2.25 lakhs per acre near (8 kms) Kamareddy, Nizamabad District. NZ2) 2000 acres land @ Rs. 65000/- per acre near to Kamareddy, Nizamabad District. NZ3) 1000 acres of land for sale @ Rs.110000/- per acre near Kamareddy (Tadwai mandal, Nizamabad District). NZ4) 500 acres of land for sale @ Rs. 65000/- per acre around 35 Kms from Kamareddy towards Gandhari / Nizamabad. M1) 32 acres of Land on Siddipet - Medak Highway (12 kms from Siddipet) with fencing, staff quarters, gate, two bores, transformer & 15 acres covered with 1 year old mango trees for sale @ Rs. 4 Lakhs per acre. M2) 18 Acres of land for sale @ Rs 2.5 Lakhs per acre at Dharmaram of Ramayampet / Siddipet road, Medak district. M3) 42 Acres of land for sale @ Rs 2.25 Lakhs per acre at Thimmapur of Ramayampet / Siddipet road, Medak District. M4) 24 Acres of land for sale @ Rs 3 Lakhs per acre around 8 kms from Ponnal of Siddipet mandal, Medak District. M5) 150 acres of land for sale @ Rs. 3 Lakhs per acre near Narsingi on NH7 between Hyderabad & Kamareddy. M6) 200 acres of land with 12 bores for sale @ Rs. 200000/- around Kuknoorpalli /Kondapaka of Hyderabad- Karimnagar road. M7) Lands Near Siddipet of Dubbaka mandal & Medak District - 100 acres @ Rs. 1.3 Lakhs per acre. M8) Lands Near Siddipet of Dubbaka Mandal & Medak District - 100 acres @ Rs. 1.4 Lakhs per acre. M9) 93 acres of land for sale @ Rs. 3.25 Lakhs per acre, near Nandigama village of Ramaayampet Mandal, Medak District. M10) 150 acres of land for sale @ Rs. 2 Lakhs per acre near Chelmeda village of Ramayampet Mandal, Medak District. M11) 80 acres of land for sale @ Rs. 2 Lakhs per acre near Kalvakunta village of Ramayampet Mandal, Medak District. N1) 5 Acres of Agriculture land for sale @ Rs. 1.50 Lakhs per acre on Sagar Highway around 85 kms from Hyderabad. N2) Lands on Nagarjunasagar Highway at Chintapally Mandal, 200 acres @ Rs. 1.5 Lakh per acre. N3) 12 Acres @ Rs. 1.50 Lakhs per acre around Chintapally mandal of Nalgonda District. N4) 35 acres @ Rs. 1.75 Lakhs per acre around Chintapally mandal of Nalgonda District. MB1) 30 acres of land for sale @ Rs.1.65 Lakhs per acre in Kurmiddda revenue of Kalwakurthy mandal of Mahaboobnagar District. MB5) 500 acres land @ Rs.5 Lakhs per acre in Balanagar mandal of Mahaboobnagar District. MB6) 400 acres land for sale @ Rs.6 Lakhs per acre in Shadnagar mandal of Mahaboobnagar District. MB8) 500 Acres of land for sale @ Rs. 5 Lakhs per acre at Rangareddyguda, Kothur mandal of Mahaboobnagar District. MB9) 520 Acres of land for sale @ Rs. 14 Lakhs per acre at Cheguru village of Kothur mandal, Mahaboobnagar District. MB10) 600 Acres of land for sale @ Rs. 7 Lakhs per acre at Cheguru village of Kothur mandal, Mahaboobnagar District. MB11) 1000 Acres of land for sale @ Rs. 7 Lakhs per acre at Mamidipalli village of Kothur mandal, Mahaboobnagar District. MB12) 800 Acres of land for sale @ Rs 1.5 Lakhs per acre in Addakal mandal of Mahaboobnagar District. MB13) 1000 Acres of land for sale @ Rs. 5 Lakhs per acre in Zadcherla mandal of Mahaboobnagar District. MB14) 750 Acres of land for sale @ Rs 1 Lakh per acre between Zadcherla & Nagarkarnool of Mahaboobnagar District. MB15) MB12) 500 Acres of land for sale @ Rs 8.5 Lakhs per acre near mansanpally of Kothur mandal, Mahaboobnagar District. MB16) Lands on Bangalore Highway, Near Toll gate No. 2 - 385 acres @ Rs. 3.2 Lakhs per acre. MB17) Land on Srisailam Highway (Naraya), 85 KMS from Hyderabad - 200 acres @ Rs. 2.25 Lakhs per acre. MB18) Lands at Vangur on Srisailam Highway, within 90 KMS from Hyderabad - 150 acres @ 2.75 Lakhs per acre. P1) 2670 acres of land @ Rs. 65000/- per acre in Kanigiri mandal of Prakasam District. P2) 25 acres @ 10 lakhs per acre in Chinnaganjam area of Prakasam Distric. N1) 50 acres of 6 years old Mosambi garden for sale @ 5 lakhs per acre with all amenities. NL2) 200 Acres of Eucaliptus garden @ 2.50 lakhs per acre in Atmakur mandal. NL3) 150 Acres of Eucaliptus garden @ 2.50 lakhs per acre in Atmakur mandal. NL4) 200 Acres of Eucaliptus garden @ 2.50 lakhs per acre in A S Pet Mandal. A1) Nallamada Mandal, - 550 acres @ Rs. 65000/- per acre. A2) Somandepalle mandal 500 acres @ Rs. 75000/- per acre. A3) ODC Mandal - 250 acres @ Rs. 65000/- per acre. A4) Somandepalle, Roddam Mandals - 1500 acres @ Rs. 65000/- per acre. Agricultural lands for sale near Bidar of Karnata state - Chintaki, ujni, medpally & gudpally Villages - 2000 acres @ Rs.55000/- per acre. Lands in Tamilnadu between NH 4 & NH 6 - Between Madurai & Kutikuran, within 30 KMS from Madurai Airport - 6000 acres @ Rs. 60000/- per acre. 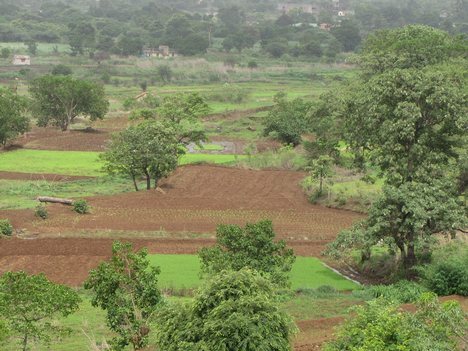 Lands in Maharashtra - Paatan mandal, Satara Districts - 3000 acres @ Rs. 1.50 Lakhs per acre. Low budget lands are from other districts of Andhra Pradesh & Other states of India also.